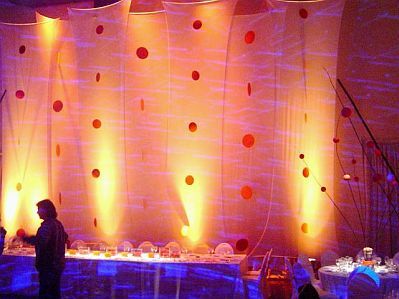 In recent times it has begun to take more risks for wedding decorations, the classic white, but is an important part, it is not the only option, if you're betting modern brides to surprise their guests with an original set orange color , this article would be helpful. 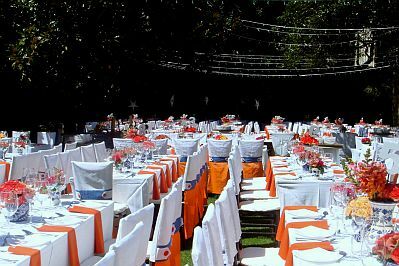 We present a series of ideas to decorate the halls of your wedding celebrations and tables, which brings out the orange color . In this first image you have a proposal to decorate a room that highlights the orange color , this shade curtains, flowers and centerpieces of this same color and white tablecloths that allow the perfect contrast. 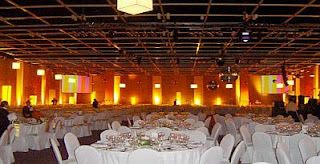 Sometimes just using one color lights, as seen in this great hall, the front is lit by orange lights. Similarly in this case, have orange lights behind transparent orange circles cloths. 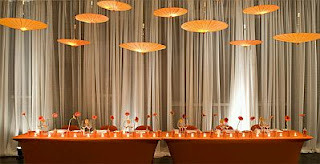 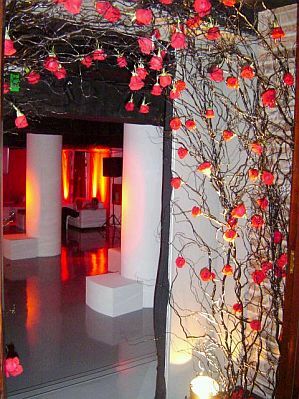 Elegance and good taste, on the inside can be seen orange lights and past an arch of flowers of the same color. If your celebration is outdoors, simply place some orange details, centerpieces, napkins and chairs dresses. 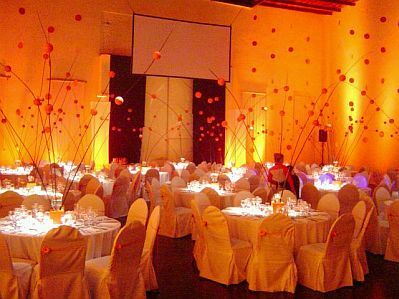 Romantic and elegant living room, lit with orange lights, with bands of the same color on the chairs and tall centerpieces. 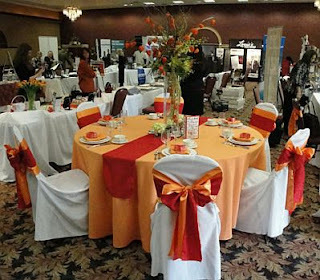 Another proposal is to combine two shades of orange, as seen in the tablecloths, the same combination is seen in the bonds of the chairs. 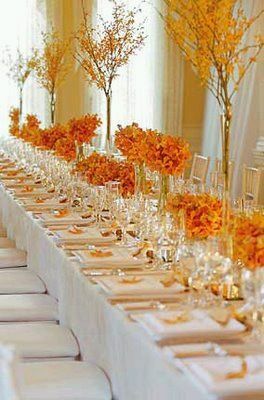 If you chose the Oriental style for your wedding party, this proposal is very good, on top have Chinese umbrellas, and in the lower centerpieces and orange flowers. 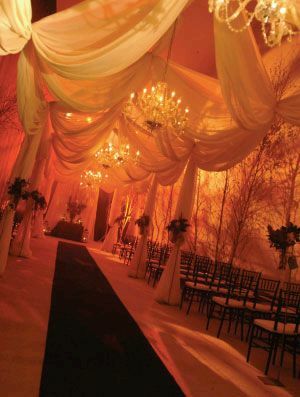 Finally, if you want a more romantic and dramatic effect, you seem to cover the roofs with silk cloths, orange flower and also place the same color, the result is excellent.